Adventurous explorers and brilliant deals set the stage for exploring the Pacific Ocean. When it comes to sheer size, the Pacific Ocean reigns supreme. Believe it or not, you could combine every landmass on the planet, and it would still be smaller than the Pacific’s 64 million square miles of surface area. The Pacific is so vast that it wasn’t until the 1500s that explorers began to fully discover the secrets that lay beyond the western shores of the Americas. The intrepid Portuguese explorer Ferdinand Magellan would be the first European to reach the distant Pacific islands of Guam, the Philippines and Cebu. This last destination was where Magellan was killed by locals after making the mistake of getting involved in their affairs. But perhaps the most celebrated sailor of the Pacific Ocean was James Cook. 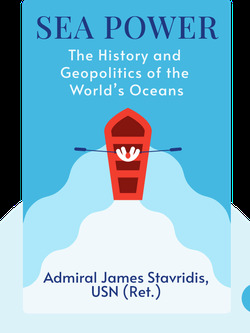 A captain in the British Royal Navy, Cook embarked on a series of voyages in the late 1700s that charted what was previously unknown, including key ports in places like Hawaii, Tahiti, Western Canada, Easter Island and parts of New Zealand. The United States greatly increased its interest in the Pacific following the gold rush in the mid-1800s. During this time, people from all over the country flocked to gold-rich hills of the US west coast, just as coal-powered ships were being introduced. These boats required coaling stations for long trips across the Pacific, which is exactly what Hawaii became when it was annexed by the United States in 1898. To this day, the Hawaiian islands continue to serve as a reliable gateway for the United States in the Pacific. A far more questionable land deal was made by the United States in 1867 when Secretary of State William Seward orchestrated the purchase of Alaska from Russia. Unlike Hawaii, this land was in a much chillier part of the North Pacific Ocean, and many vocal critics believed Seward had wasted money on a useless chunk of frozen tundra. They may have called it “Seward’s Folly” at the time, but as we’ll see, Alaska came to play a key role in the US economy further down the road. The Pacific Ocean was a battlefield in World War II, and it’s currently home to a dangerous arms race. The Vikings were the first Atlantic explorers, while the Portuguese greatly expanded the charted seas. Great Britain has an unrivaled record of naval supremacy in the Atlantic. The Indian Ocean has always been a valuable trade route, and today it is also an area of great resources. Today the Indian Ocean is home to dangerous tensions, and the United States should respond with careful diplomacy. The Mediterranean was the birthplace of strategic sea battles and a stronghold of the Ottomans. Hopes for continued peace in the Mediterranean Sea are under threat from Russia and ISIS. The Caribbean has a colorful and troubled history, and the United States should take a more humanitarian approach to the region. The Arctic Ocean holds great promise, as long as the United States invests in this area properly. Piracy, pollution and environmental concerns can’t be ignored. Many factors determine a nation’s power on the seas, and there are steps the United States can take to remain a major player. Start your free Blinkist trial to get unlimited access to key ideas from Sea Power and over 3,000 other nonfiction titles. With bitesize text and audio, it's easier than ever to find the right ideas to transform your life.